These exciting designers are creating Made In Greece lines with unparalleled sophistication, drawing on local artisans and high-quality materials. Greek style has been a recurring story on the global fashion scene. In Paris alone, legendary couturier Madeleine Vionnet’s fluid drapes were inspired by ancient Greek sculptures and were followed by the delicate, yet precise pleats of Madame Grès. Jean-Paul Gaultier reworked the fustanella kilt for his 2006 haute couture collection and, just recently, Karl Lagerfeld turned to ancient Greece for his Chanel Resort 2018 collection, which saw parts of the Parthenon and the Temple of Poseidon in Sounion being reproduced at the Grand Palais in Paris. Greek chic also earned its very own show at New York’s Metropolitan Museum of Art back in 2003, where “Goddess: The Classical Mode” traced fashion history from ancient Greece and Rome to the 21st century. When it comes to Greek designers, the fashion heritage tends to be innate, expressed in both obvious and more subtle ways. Internationally acclaimed designers such as London-based Sophia Kokosalaki and Mary Katrantzou, for instance, have drawn from their Greek background. 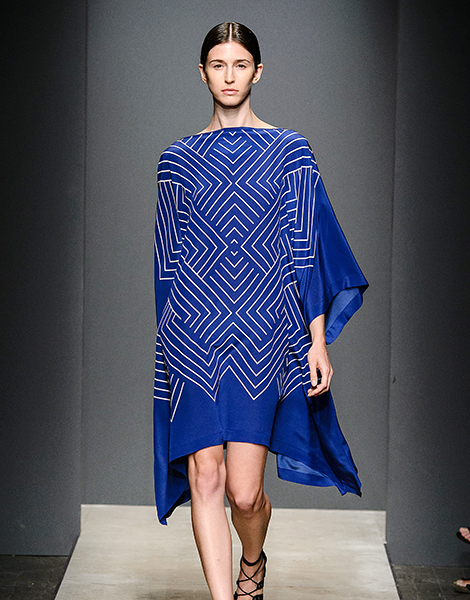 While the former has highlighted her roots through elaborate draping techniques (leading to a stint at Vionnet, when the house was relaunched in 2006), the latter has often used Greek themes (including now-defunct drachma notes and Minoan symbols) for her signature digital prints. 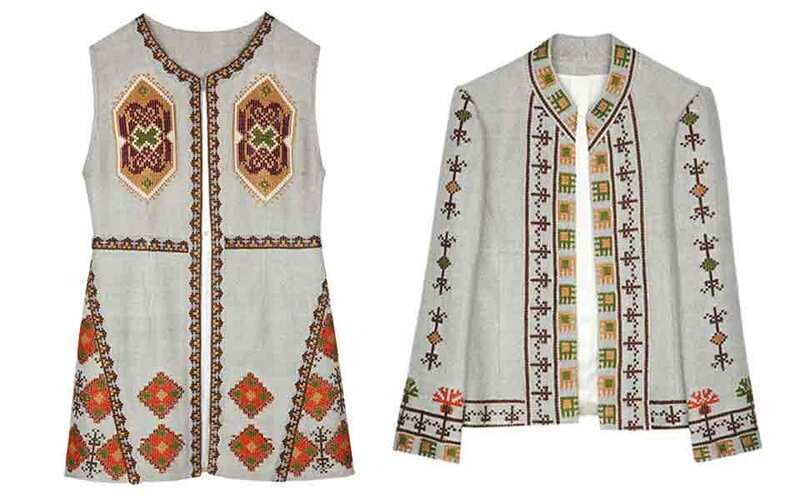 Years earlier, Yannis Tseklenis’ spirited printed fabrics, which often included motifs from the homeland, pushed the country’s heritage into the global limelight in the 1960s and 1970s. While the fashion industry continues its perpetual search for the next big thing, an increasing number of local designers and brands are incorporating a series of neo-Greek chic elements into their creative identities. They are also adding a “Made in Greece” dimension, a sign of pride and persistence during tough times. The brands featured here are fashion case studies, whose refreshing outlook is helping re-energize the local industry. Zeus+Δione, a lifestyle brand founded in 2012, takes its inspired name from the parents of the Greek goddess of love. Built on a strong DNA of minimalist silhouettes with a sense of geometry and featuring Doric elements, Zeus+Δione garments are subsequently embellished with intricate details. “We came up with the idea of creating a 100-percent Greek brand because the biggest advantage that we Greeks have is our heritage. No matter what changes in the economy, you can’t change history,” say founders Mareva Grabowski and Dimitra Kolotoura. The brand’s silk fabrics are made in the silk-producing town of Soufli in northeastern Greece, silk shirts are embroidered in Argos and Metsovo (in the Peloponnese and Epirus respectively), while dresses and skirts are knitted by women in Attica and on various Cycladic islands. Selected patterns are handwoven in Crete. “We believe in the craftsmanship and specialized skills of Greek people. Generations after generations have held on to plenty of traditional aspects and we want to use them and make them come alive again,” says the duo, who scouted Greece to locate craftsmen to work with. The Zeus+Δione Hydrea Summer 2017 collection features handmade embroidery inspired by Greek folk garment traditions. This is where natural fibers, including silk and cotton, mix with metallic textures, while the collection’s color palette includes burnt orange and marigold. Those who stock Zeus+Δione include the Grande Bretagne Hotel in Athens, Bergdorf Goodman in New York, Le Bon Marché in Paris and Drawing Numbers in Tokyo, while its online presence extends to net-a-porter.com and matchesfashion.com (click here for their Zeus+Δione page). The relationship between fashion and the wearer is central to the work of Ioanna Kourbela, a designer whose philosophy is based on the notion that a “garment is the body’s home.” This would explain why Kourbela, who comes from a knitwear-producing family, invariably “test-drives” her own design ideas before transferring them onto paper. Her body-embracing silhouettes capture the energy of movement while her Greek heritage makes its mark through a kind of pleated fluidity running constantly through her pieces. At the brand’s flagship store in the Plaka district in Athens, you’ll find clothes made of cotton, linen, silk and wool – all produced in Greece. One of the brand’s signature pieces, the versatile pleat-inspired 2250 wrap cardigan is billed as a polymorphic piece of clothing which can be worn in more than 20 different ways. Meanwhile, the designer’s Anavasis (“Ascent”) Summer 2017 Collection mixes couture details with a sense of futurism, while its four-color combination juxtaposes “warm” and “cool” shades. “The collection is defined by its austere, strict and linear aspects, while its name reflects a motif which is reproduced in garments and jewelry, but also serves as an allegory, highlighting a tendency toward continuous improvement,” notes the designer. 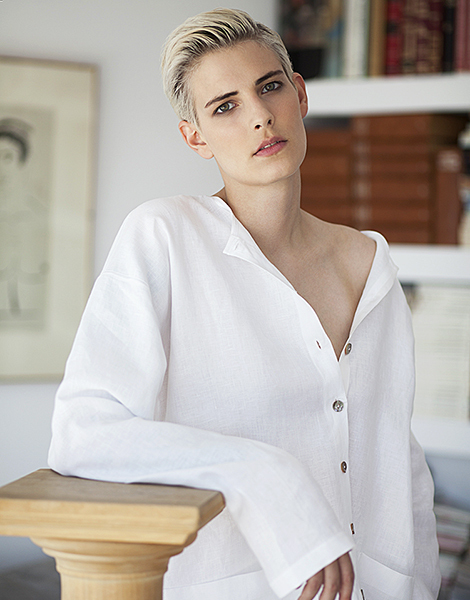 Ioanna Kourbela’s collections for men and women are currently stocked in over 22 countries across the globe, including outlets in Europe, the US, the Middle East and Asia. Reinterpreting old ideas in abstract ways through prints and cuts is the focal point of The Artians by Konstantina, a family business founded only two years ago. 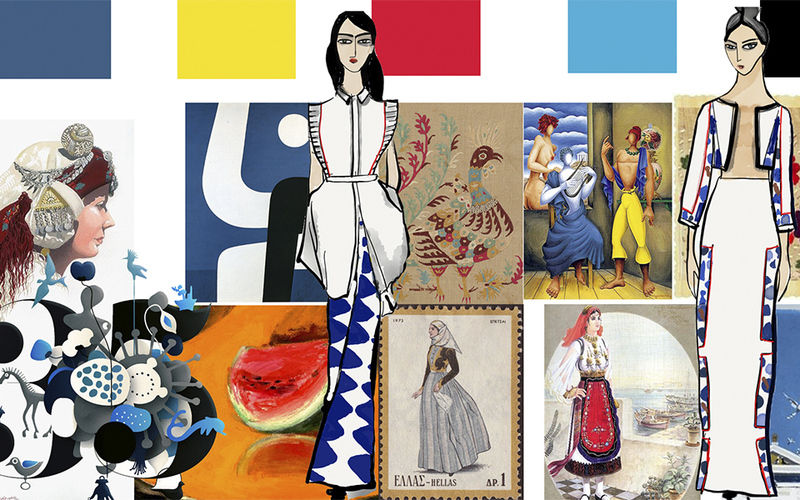 “We draw our inspiration from world art and, very often, from Greek art, both ancient and contemporary. However, ours is a fresh, global, minimalist take, free of folklore,” says interior architect and designer Konstantina Kampisopoulou, the brand’s founder. The Sayades range was inspired by Greek traditional costume from around 1900, especially the Karagouna garment which originated in Thessaly. “We were moved by the fact that each piece symbolizes women’s status and their situation at that particular time. We are drawn to periods where women played an important role in society,” adds the designer. A network of 20 outlets situated in Athens and on several Greek islands currently provide a retail platform for the brand, which is also hoping to attract interest with its e-commerce activity. In the northern Greek town of Kozani, weaver Aikaterini Papadopoulou, a graduate of the town’s weaving school, spent more than 110 hours on the loom to produce the one-of-a-kind handwoven Rena Jacket for Tria etc, a company founded in 2016 to showcase traditional and innovative Greek artisanship. “It’s a question of style. I love to play with things like a pair of ripped jeans and a hand-embroidered jacket from Metsovo. I like the juxtaposition,” says Tatiana Blatnik, wife of Prince Nikolaos of Greece, who co-founded the brand with her Greek partners, Christina Filiagouridou and Elina Sbokou. “The idea itself was born out of a shared love for Greece. On a personal level, I had been traveling around the country with my husband. During my travels, I saw inspiring, rare talent and a lot of skill, so I teamed up with my two partners and we came up with the idea of collaborating with creative thinkers, merging tradition with innovation,” notes Blatnik. The company’s production is limited, with some one-off pieces, although orders can be placed. Items are also sold at exclusive stores in Greece and abroad. The brand’s leisurewear this summer includes the Ellie tunic, made with Soufli silk and designed exclusively for Tria etc by Ellie Kousouli. Billed as the first Greek brand to focus solely on resort wear, Ancient Kallos is the creative child of twin sisters Labrini and Stella Stavrou. The Thessaloniki-based company, founded in 2014, draws inspiration from timeless Greek beauty – “kallos,” after all, has been a local word for “beauty” since antiquity. Natural fibers, including cotton, lace and silk, are used in shirt and beach dresses as well as in kaftans, the detailing of which includes cotton embroideries and handmade tassels. Produced in Greece, Ancient Kallos is available at selected stores locally and abroad, including vacation spots in France and Italy. Angelos Bratis has a gift for making an exceptionally constructed dress look like something he just whipped up. The Athens-born designer, who spent years working in Milan and is now based in the UK, employs an elaborate, hands-on draping technique, while his pleats, folds and bias-cutting lead to linear, symmetrical silhouettes with a heavy Doric touch. His elegant garments are on sale at several boutiques across Greece, such as i-D Concept Stores in Kolonaki, Athens. Pieces by the designer are also sold at Bel Boutique in Milan. An element of sensual mobility characterizes the world of Daphne Valente, a quiet fashion rebel, whose signature pleated garments recall the masterpieces of the early 20th century visionary Mariano Fortuny. The designer takes a sculptural approach in her work, pleating her fabrics before turning them into garments. Balancing between the artistic and the commercial, her pieces are available at selected outlets in Greece, Cyprus and Lebanon, as well as at the Benaki Museum and Ilias Lalaounis Jewelry Museum shops in Athens. At the house of Parthenis, Orsalia Parthenis carries on the family tradition of comfortable sophistication based on a minimalist aesthetic. The brand is known for reworking classic basics through body-friendly fabrics such as cotton, jersey, wool, and the new age fabric Tencel, often leading to monochrome (without, however excluding some color combos) pieces with a very long fashion expiry date. Her work can be found at flagship stores in Athens and Mykonos, and on sale in Lebanon, Kuwait, the US, the UK and other countries, as well as through her e-shop. Jewelry designers wish you good fortune in the New Year.